The electromagnetic field is a bit strange. It is caused by either a magnetic field or an electric field moving. 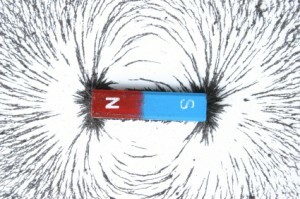 If a magnetic field moves, it creates an electric field. If an electric field moves, it creates a magnetic field. They can be small – watch the video so you can see how it works. The ones I used in the video are only 1″ across. Aroura, this is Andie, do the mirrors for the electromagnetic sensor have to be small, or can they be two inches. I apologize for the confusion – the video is for the upper level 9-12 students that are making a magnetic field detector. I don’t see the video, either!? Make sure you log in first, then the video will pop up! Upper level is K-12 access, which is currently $57 per month. You can see which topics you have access to by going to the “Topics” section in the top nav bar. It will list the ones you have access to. For more info on accessing everything for a specific grade level, click “Grade” and read the first couple paragraphs – hope this helps! When I clicked on 8th grade, it took me to this page for the experiments but I cannot access this experiment. What is considered advanced student, upper level? What is the diameter and thickness of the rare earth magnets? I think the rare earth magnet experiment was published after the Diamond program was put together, so you won’t have them there. I am so sorry! That’s the trouble with a program that is still continuing to grow. I found them inexpensively online – if you look in the shopping list for the unit, you’ll find direct order links. Let me know if you need further assistance! I have a problem. I have the Diamond kit and it contains a lot of stuff, but that stuff does not appear to include rare earth magnets. Does the kit have rare earth magnets or am I just looking in the wrong place? There are two places that explain how light travels… look in Unit 9 and Sections 12-14.
hello Aroura will you tell me why light travels i have no idea. I am not able to access this (The Electromagnetic Field). We have no access to video or experiments. Please advise how we can. Thank you. Hi, why we do not have access to the rest of the content. This is inconvenience for us. Yes! The device that measures the pulse of the Earth’s magnetic field was developed by Roger Baker, and the full article originally appeared by Shawn Carlson Scientific American in January 1999. Is the device same as Baker’s device? You can still use the smaller ones as long as they deflect when the array is close enough. You’ll probably have to fiddle with the distances to get it to work right. Let me know if you have trouble so I can help. I bought the rare earth magnet that the link connected to, but they are much smaller than the ones you use in the video. I can only take the array about 1/2 the distance from the jar as you did. I assume that is because of the size? When you look at a compass, the earth’s magnetic field indicated by the needle, appears to be steady. But the magnetic field is quite the opposite: micropulsations move through the ionosphere and generate magnetic disturbances that you can measure with this device called a magnetometer. These magnetic disturbances are really hard to detect (they last from seconds to minutes each) since they have one ten-thousandth the strength of the earth’s magnetism. You can learn more about the history of magnetometers here. Hope this helps! I’m not sure I’m fulling understanding what I am seeing with this experiment (magnetometer). I wonder if you can help us or direct us to another link for more information. We saw a nice little pulse after it settled….except when the cat jumped up on the table and we had to start all over, the laser was a bit too inviting. You can use any small mirror you have. I’ve used mosaic mirrors from a craft store. When I clicked on the link to the small mirrors it said that they were discontinued. Now where do I get them? Loving this program as a homeschooling mom. My only problem is that I’m having to readjust our focus as I never anticipated both our boys would be so thrilled by this avenue of learning!! What would you like an image of? can you put up a video of what this looks like and dose???????……….. You’ll want to be sure to do this experiment far away from anything metal (which induces eddy currents and can have an effect on the expt – more on this weird phenomenon in Unit 11). Try using sewing thread if your fishing line is thick – you want a very fine thread for this experiment (even a piece of long hair will work). It does need about 10 minutes or so to settle out before you start taking measurements. The ‘tare’ is to zero out any magnetic fields that will dampen the effect. For example, if you bring a magnet close to a compass, you notice how the needle swings wildly. But if you pull the magnet further away, the swinging motion is less. There are magnetic fields all around you – from the motors in the washer to the magnets on the fridge… so we want to cancel out all magnetic fields expect the earth’s and we do this by using the magnets to tare out the field. It makes this instrument much more sensitive. I watched; I built; I confused myself! Our mirrors seem to move constantly, despite the tare magnets (four donuts on the card stock.) I used a pickle jar, nylon thread, and two (smaller than yours) rare earth magnets. Our mirrors don’t point due north either, but more northeast. I glued the thread to the bottom of the jar and suspended the magnets from a plastic pencil across the top of the jar. Do you think our thread could be too light so it shakes with every little movement? Also could you explain a little more about how the tare works? Are we taring artifact movement (from bumps or other extraneous vibrations) or something else? this won’t load past 1 minute 30 seconds, i have this problem with several others, even when i refresh the page, and try it in other browsers, chrome firefox, and IE9 and a few won’t even start, i think there is something wrong with this website, or the video player. The content you’re trying to view is for members that have the advanced K-12 access – these are select experiments that involve fire, hazardous chemicals, serious power tools, or are just too complicated for most younger students. These experiments are clearly marked with words like “This experiment is for grades 9-12.” Also included with the advanced access are the textbook downloads. Your membership (even if it says trial) gets you full access to the K-8 content on the eScience site. Does that make sense? Let me know if you have more questions – I’m happy to help! The video for this experiment is lower down on the page, but is only for K-12 subscribers. There are some experiments on eScience that are meant for only upper grades, and those are clearly marked with a note like: “This experiment is for 9-12th grade students”. The first half is for all students, but the second half is just for upper grades. Once in awhile you’ll find an experiment split like this, so older students can go further with the concepts. These experiments are sprinkled throughout the eScience program, however you’ll note that the shopping lists for the Units clearly differentiates which materials are needed for K-8 and 9-12. We were emailed the link to this page so we could check out the video, but upon arriving at the page I see it is only available to 9-12 memberships. Can we please just get k-8 so that we are not guided to experiments that are not available to us? Thanks! Wow I cannot find the video. What am I doing wrong? Where is the video for this? I don’t see it. We just did this experiment today…HOLY COW!! Those were not the results I was expecting! We had to take it down after it sat on the kitchen table for about 2 1/2 hours but I was amazed at what we discovered. Looking forward to all I’m (I mean, my kids) are going to learn this year!